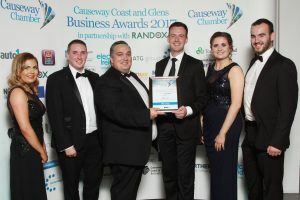 The Causeway Coast & Glens Business Awards were held on Friday 29th September at Ulster University, Coleraine. 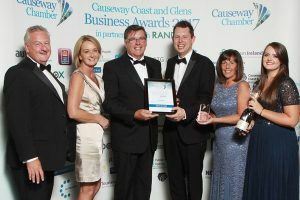 Businesses both large and small from across the Causeway Coast and Glens Borough were honoured for their fantastic achievements and received recognition as finalists at this prestigious biennial event. We were nominated and shortlisted for 4 awards and came home with not one, but three! The first award of the evening, The Green Business Award, was presented to ATG for showing commitment to protecting the environment through recycling, reducing vehicle emissions and educating staff on environmental issues. 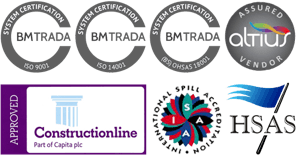 The Award for Innovation recognises all forms of successfully applied innovation, from new products and services to a culture of improvement. This Award celebrates the ideas that have had the greatest impact on an organisation or industry. ATG Group has implemented a range of unique technologies used in the remediation of contaminated land and has developed an innovative method of stabilising and solidifying soils. 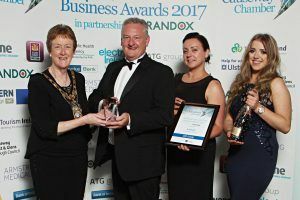 ATG Group stood out as the clear winners in this category as they have invested in and developed solutions that are environmentally sensitive, measurably transforming the business. ATG Group’s charity division were the next winners of the evening. 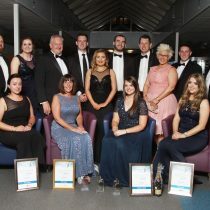 Ashes to Gold were awarded the Social Enterprise of the Year Award. This award celebrates organisations that address a social or environmental need by reinvesting profit or surplus from trade to achieve its social mission. Ashes to Gold have been recognised as achieving the greatest impact while demonstrating excellence in all aspects of enterprise through Customer & Community engagement, Impact & Improvement and Leadership & Management.